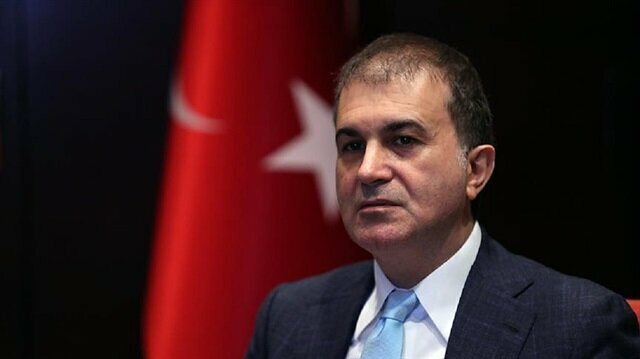 Due to its decision, including the expulsion of 40 imams, Turkey will ignore Austria’s six-month turn at the EU helm, set to start on July 1, Omer Celik told news channel Haber Turk. Austrian NGOs, writers and activists are blasting the government’s decision to shut down seven mosques and expel scores of imams.“We condemn the Austrian government for the decision to shut down seven mosques, as we are absolutely opposed to closing the mosques and the expulsion of imams,” Michael Probsting, a well-known Austrian activist, told Anadolu Agency.“Austria’s ‘law on Islam’ [Islamgesetz] is at the center of many troubles. Many NGOs protested this legislation before 2015, when it was being debated,” Probsting said.In 2015, when current Chancellor Sebastian Kurz was minister for Europe, integration and foreign affairs, he backed the Islamgesetz legislation, which, among other things, bans the foreign funding of mosques and imams. "The closing of seven mosques, the expelling of more than 40 imams, and the abolition of the Arab Cultural Council are the biggest attack on the Muslim community in Austria," said a statement by Linkswende, an anti-racist civil society group.Writer and human rights activist Wilhelm Langthaler also said: "Chancellor Kurz and Vice Chancellor Heinz-Christian Strache are denigrating a religion that is part of Austria and campaigning against Islam. "Kurz said last week that the move came as part of a crackdown on so-called "political Islam".Under the move, spurred by an Interior Ministry and Office of Religious Affairs probe, seven mosques are to be shut down -- one of them belonging to the Turkish-Islamic Cultural Association (ATIB) -- and 40 imams expelled on the grounds of being foreign funded. “The Austrian government is a bomb ready to explode for the future of the Europe," Celik said of the decision. Celik stressed: "Austria does not have an approach that represents EU values. In addition, Turkey will take serious steps against Austria’s decision." “There was a wish to normalize relations with Austria, but at this point, the Austrian chancellor became a representative of Islamophobia and racism,” Celik said. In 2015, when Kurz was minister for Europe, integration and foreign affairs, he backed Austria’s “law on Islam” (Islamgesetz) -- legislation that, among other things, banned the foreign funding of mosques and imams. The controversial law was intended to develop an Islam of “European character,” according to Kurz. “We act decisively and actively against undesirable developments and the formation of parallel societies -- and will continue to do so if there are violations of the law on Islam,” Kurz wrote on Twitter. The soldiers arrived in Greece’s Western Thrace region aboard a stolen military helicopter hours after the defeated coup of July 15, 2016.